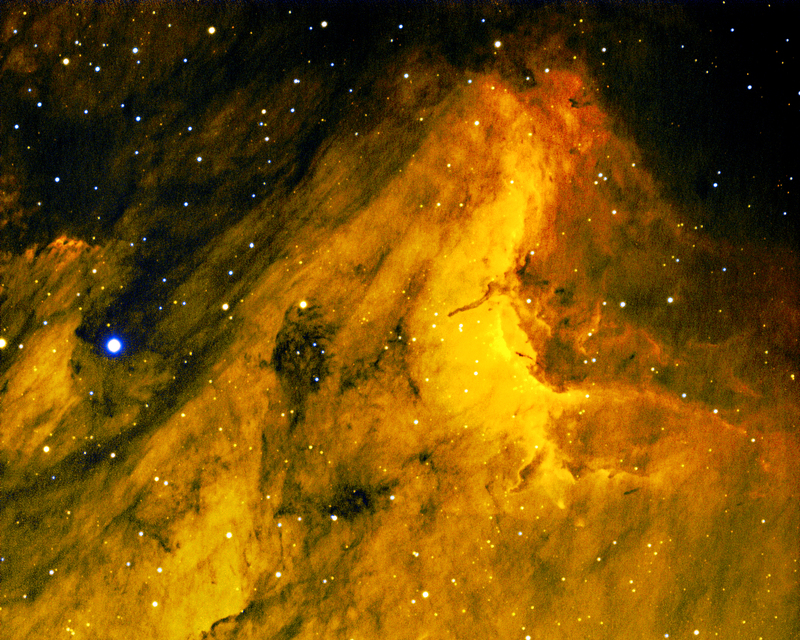 Well, the weather is turning bad, so I don’t know when I will be able to add data to this narrow band photo of the Pelican Nebula. I would like to add a little more color and some more detail. 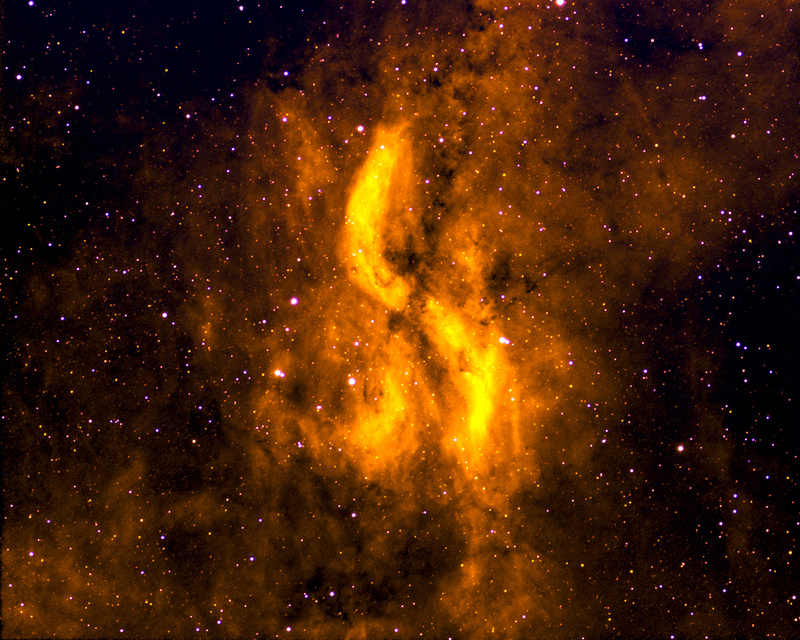 So far I have stacked 10 five minute H-Alpha images and 10 five minute OIII images and the nebulosity is beginning to look interesting. 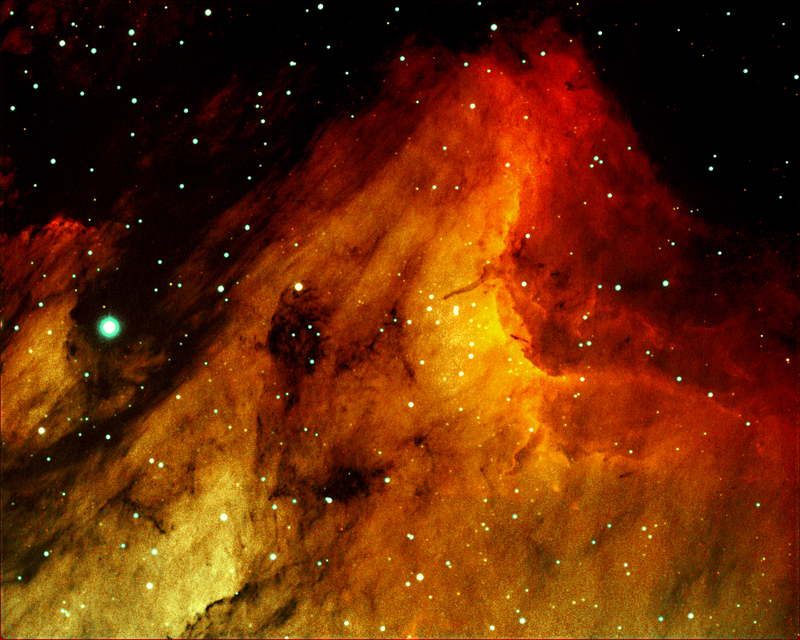 These were taken with a QSI 690wsg camera through an Astro-Physics 130mm Starfire refractor.